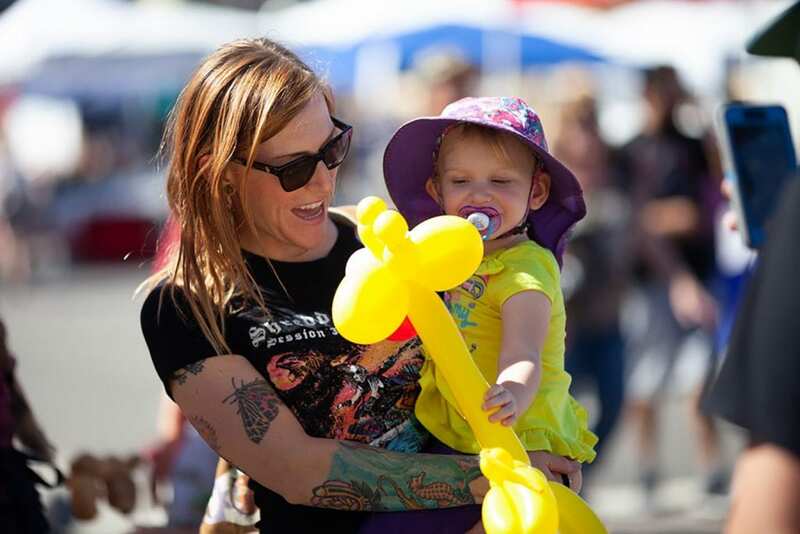 The Escondido Chamber of Commerce announces that the Escondido Grand Ave Festival Street Fair was a GRAND success! 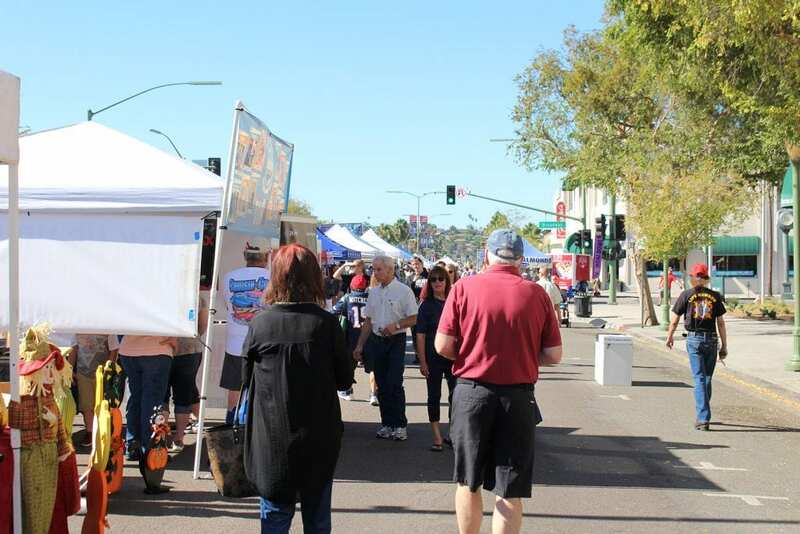 With the sun shining and the temperature a perfect 81 degrees, many people made their way to Grand Avenue to enjoy the festivities, shopping, entertainment and cuisine. Those who came also noticed a completely different layout. 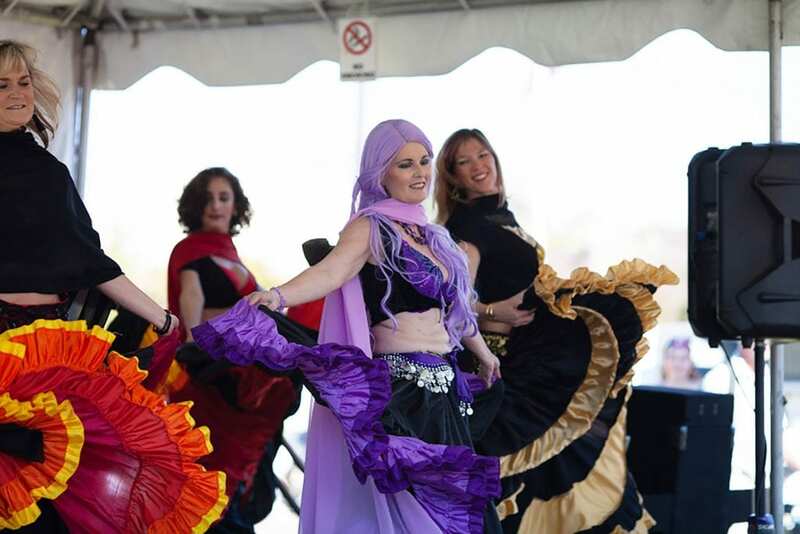 “One of the objectives of having a street fair is to showcase our downtown. Thus, the decision was made to move all the event vendors to the middle of the street keeping our sidewalks and store fronts unobstructed. 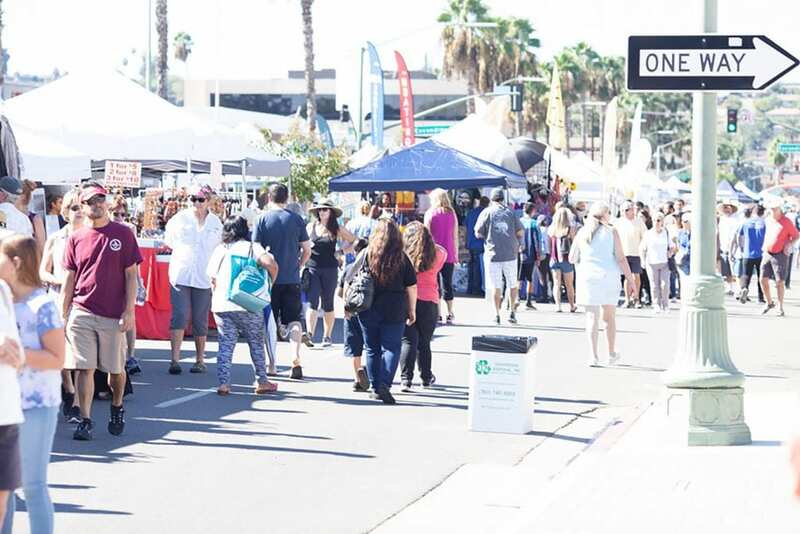 Downtown businesses were encouraged to participate in the event by being open and offering a special for the day.” said Rorie Johnston, CEO of the Escondido Chamber of Commerce. Vinz, Plan 9 Alehouse, La Tapatia and Rosie’s Diner reported record sales for the day. Family entertainment was booked at three locations; Chase Bank Lawn, Maple Street Plaza, and Heritage Garden. Pet Smart sponsored the Best Dog Trick and Best Dressed Dog contest with winners receiving a new dog bed and a bag filled with dog treats and toys. They also presented the Escondido Police Department with a gift package for the K9 unit. Police K9 Aeros demonstrated her skills in finding an object in an open field and taking down a suspect with her fierce grip. Heritage Garden was filled with treasures from local artists. “The arts are growing in Escondido. 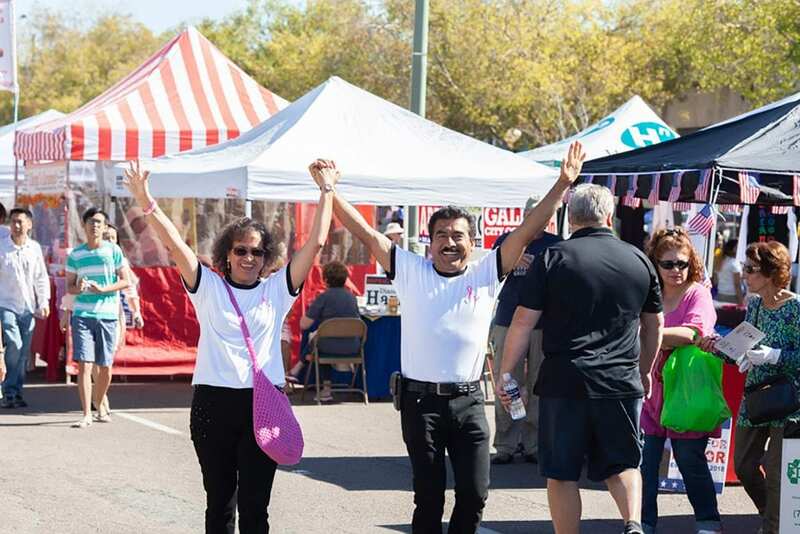 Having MAGEC (Museum & Arts growing Escondido Culture) organize our local artists and showcasing their talents at the Street Fair is a natural fit for this event.” said Johnston. There was also plenty for the kids to do at the Creative Corner. Chrisanne Moats, CEO of the Escondido Arts Partnership organized non-profit groups at Juniper who had hands on craft activities for families. There was also a PIZZA Raffle where winners received a hot pizza, compliments of Filippi’s on Grand Ave.
And yes, there was even a horse! 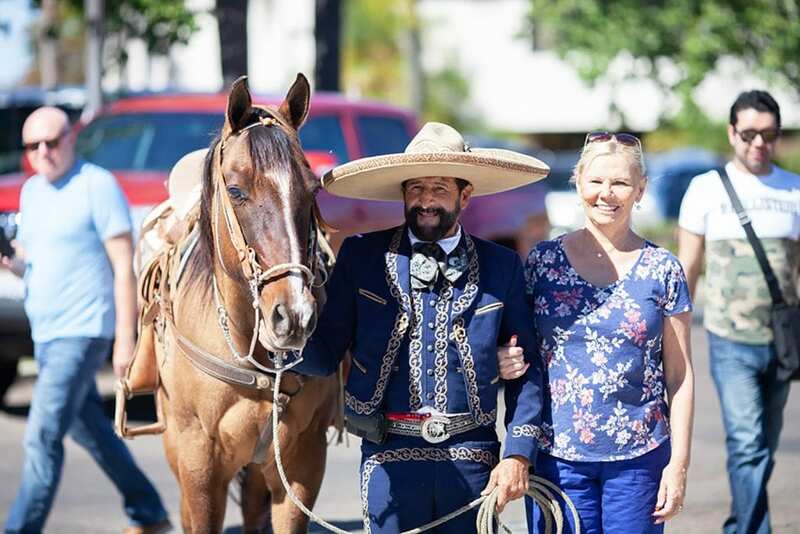 The Caballos of Escondido brought one of their finest show horses to introduce her to fair participants. The horse got plenty of carrots as on lookers were drawn in by this magnificent beauty and were able to hand feed her. 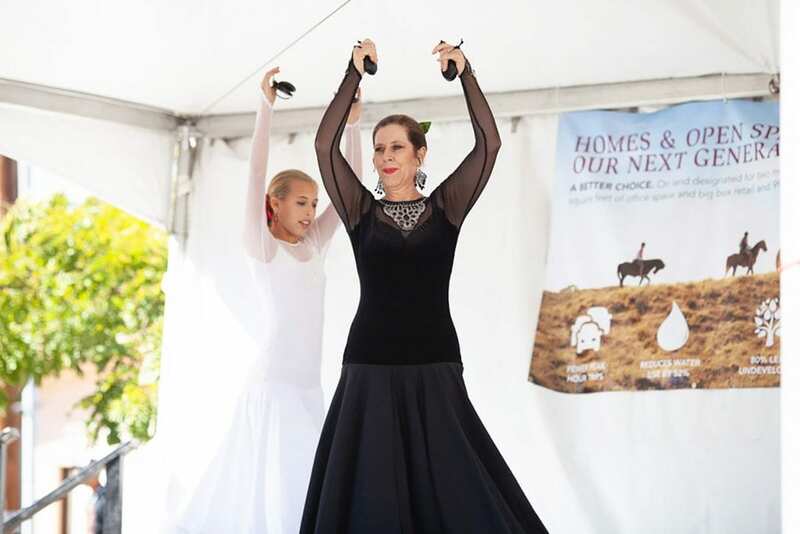 The Caballos are leasing land from the city near the Humane Society. They regularly perform a Spanish rodeo in the arena in full regalia. Though the city has provided the land through the lease, the Caballos are responsible for raising funds for park and arena improvements. 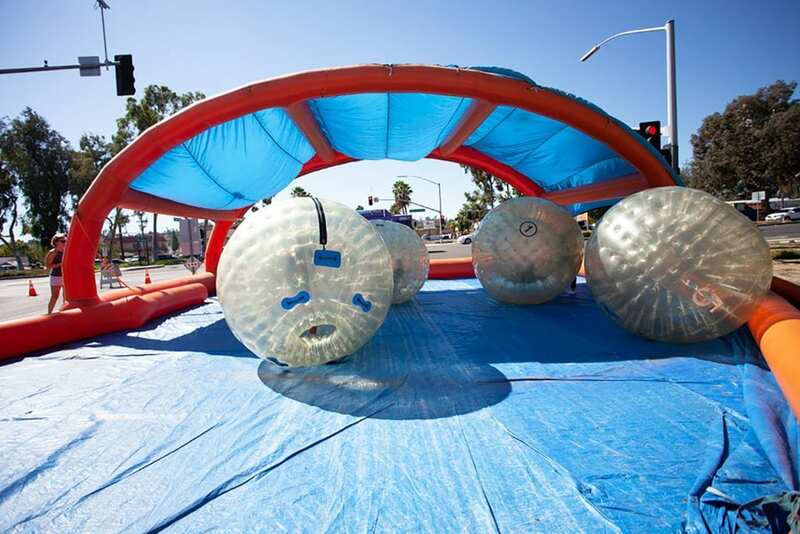 The Grand Ave Festival is the largest outdoor event in Escondido. 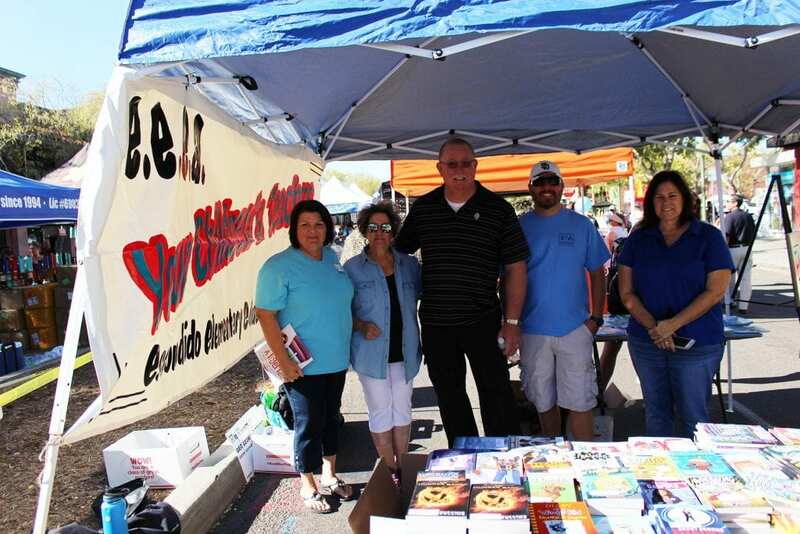 Many community partners are involved to ensuring a successful day, including the event sponsors, Pet Smart and Newland Sierra. The Downtown Business Association engaged with the Grand Ave businesses, encouraging them to be open during the event. 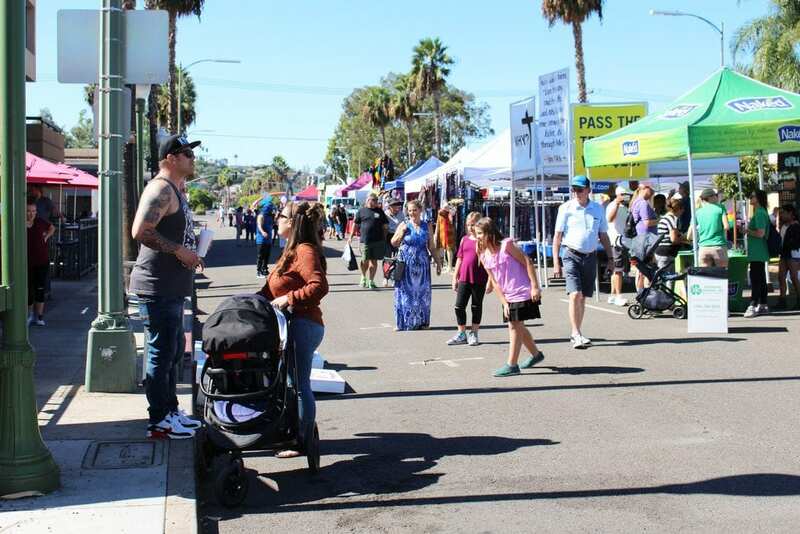 Judging on their success, it is easy to assume that Grand Ave will be hopping once again during the spring festival on May 19, 2019. 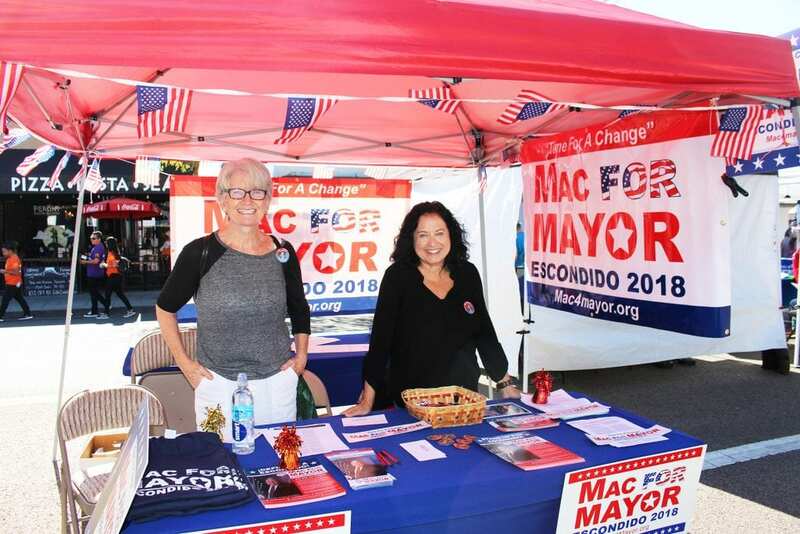 Campaign volunteers for Escondido Mayor Sam Abed greet voters Sunday. Local talent at the Maple Street Plaza. One of the pleasures of the street fair is the various cuisines you can sample, cooked right before your eyes. As the sun rises higher Grand Avenue starts to fill up with strollers seeking hot food, cold drinks and great deals from vendors. Mac for Mayor volunteers at the campaign headquarters. 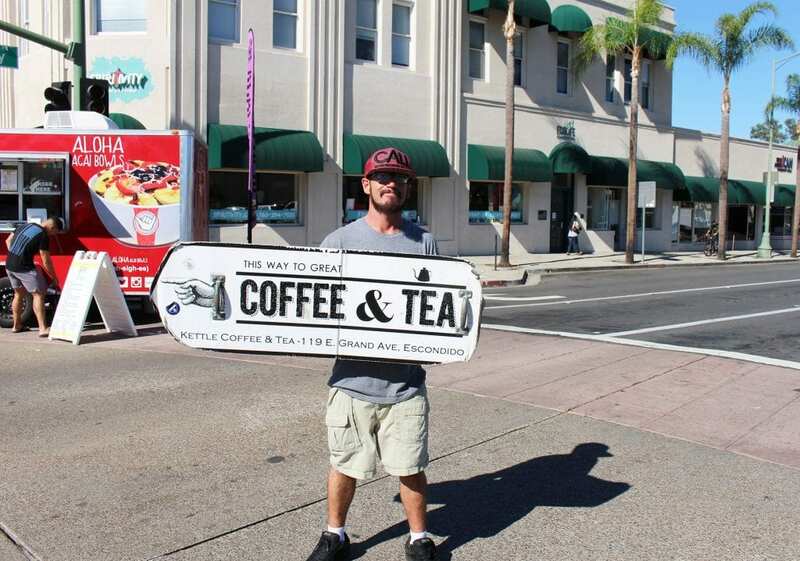 “Dan the Man” points the way to some Sunday morning coffee at the Grand Avenue Festival. 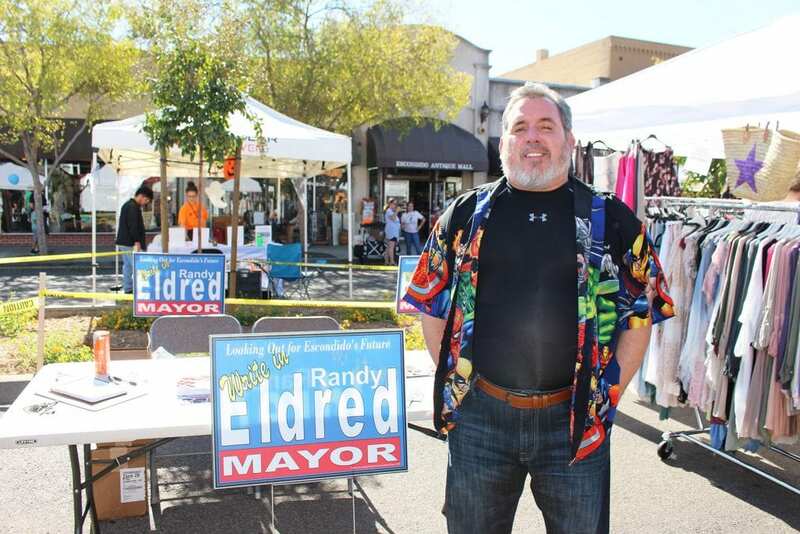 Write-in Mayoral candidate Randy Eldred at the Grand Avenue Festival awaiting a pavilion delivery from the city to keep from baking in the sun. 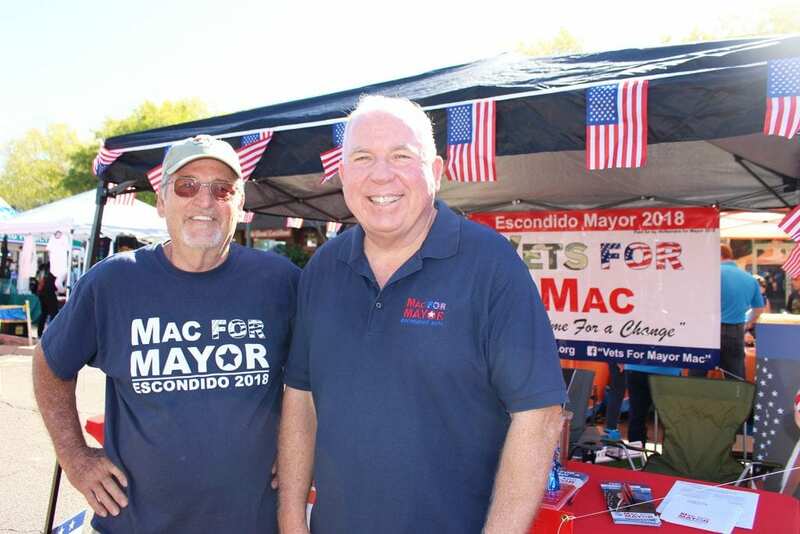 Paul McNamara (right), candidate for Escondido mayor and one of his campaign volunteers. 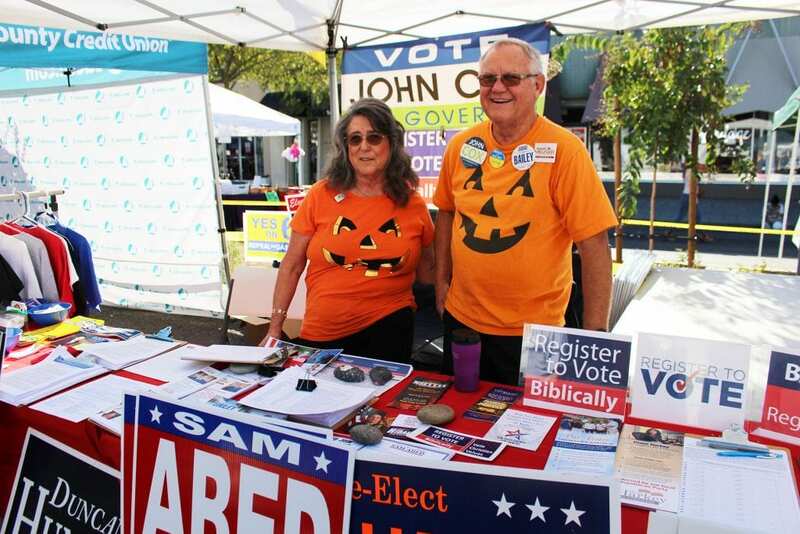 All of the election campaigns had booths along Grand Avenue during the street fair. 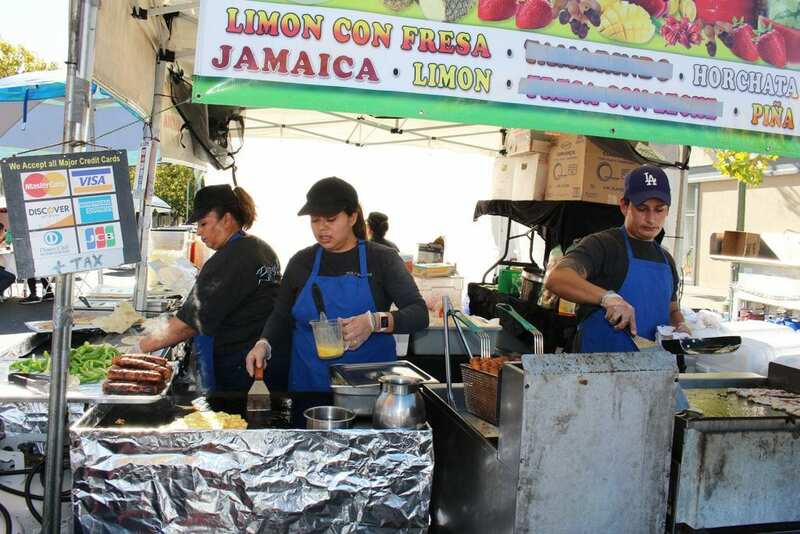 Some local “hot dogs” make the Escondido street fair scene. 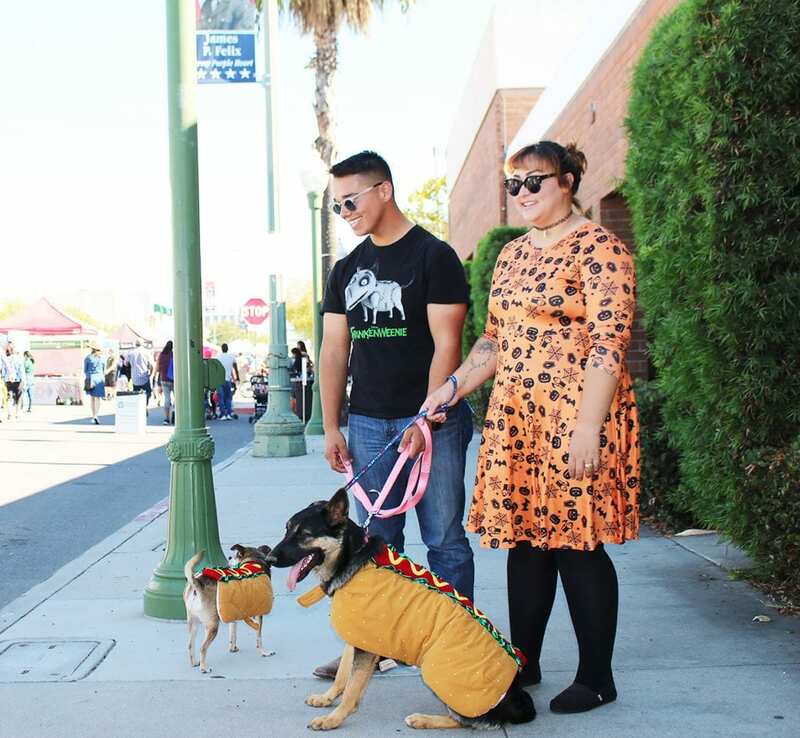 Dogs have always been a large (although never encouraged) part of the Grand Avenue Festival, but this year the organizers actually made them a part of the festivities with a contest with the Best Dog Trick and Best Dressed Dog contests. Couples with baby carriages is one of the most common sights on the twice-annual street fair.